Keeping all the small items that come with us on a ride organized, protected and off the bottom of our panniers or tank bag is important. Those small items can also be expensive and critical to keeping things working properly. 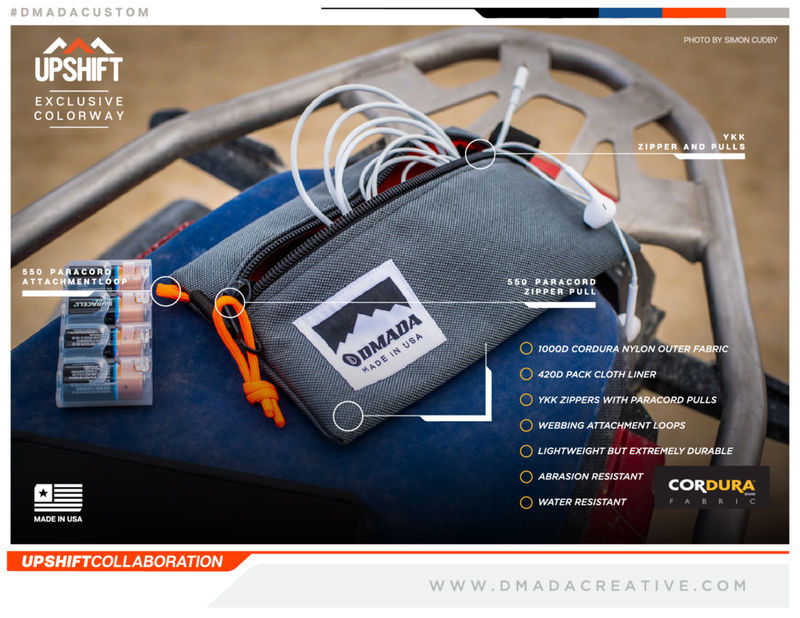 From batteries, cords, memory cards to that spare o-ring, bolt, lever or even your snacks... the DMADA Trail Essentials Pouches keep everything clean and where you left it. Available in 3 sizes in our exclusive charcoal gray with hi-viz orange liner and zipper pulls. Be sure to check out the Veterans Back 40 Adventure Trail Essentials Pouch in MultiCam™ with a majority of the profit going to help support VB40A’s efforts.